Long version: You are paying from $7 to $21 per user per month to host your Private or Business projects at GitHub (I have tested only $7 account, but my guess is that all of them works the same way). You have read the GitHub Security article (advertisement). You think that they do what they say they do (We know your code is extremely important to you and your business, and we’re very protective of it), but… as every big company does, they fail… and they fail to fix security issues even when they know about them. I don’t know why it happens, but I think that Bounty programs play big role here. They need to give away money to random people to fix their software defects. Sometimes they choose to do nothing, because of high volume of false positives (bug reports) they can not afford security experts to look at every issue submitted. 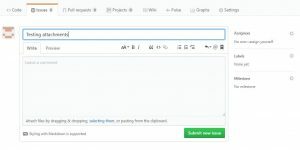 Create a new Issue for your any private repository. 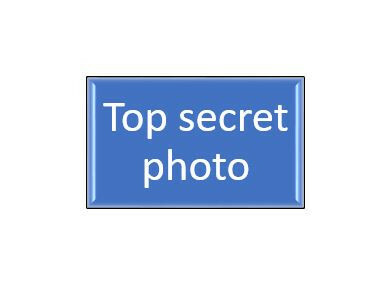 At this point your private images / photos / blueprints are available publicly – without any authentication or authorization. You don’t even need to post the issue. Your images are already uploaded! Even more alarming fact is, that you can not remove the images / drawings or your blueprints once they are uploaded. There is no delete button. And deleting issue’s comment or even deleting whole GitHub repository does not help. Images are still there. When deleting GitHub’s private repository, there is no information that some files will be left in the web forever. Even more. 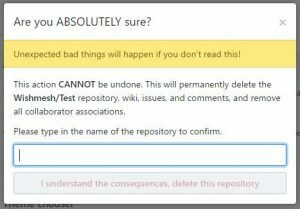 They say that “This will permanently delete the repository, wiki, issues, and comments, and remove all collaborator associations. Of course this is not the case. Your issue attachments are kept there forever. I can speculate that coding / programming the image cleanup code is more expensive than HDD space nowadays. I have not tested for very long periods. Maybe there are some code that scans comments and removes unused (unlinked) images once a quarter or once a year, but I do not have evidence of a such thing. So the truth is – once uploaded to the GitHub your images are there forever or at least for weeks. I have tested both .jpg and .png images. They are hosted at https://cloud.githubusercontent.com/ server. They are accessible to anyone. On the other hand – document files like .pdf, .docx, etc. are hosted at https://github.com/YOUR_ACCOUNT_NAME/your-repository/files/your-document.pdf which are kept safe. The links have UUID / GUID in them (more than 120 bits of entropy), so attacker can not guess them. Do not share links from private issue tracker to the third parties. Does the Google Toolbar Index URLs? How can I figure out how a search engine is finding hidden pages? There was some myths and word games with Google and webmaster community, whether Google uses URLs for indexing purposes or not, but one thing is certain – Google Toolbar was sending URLs to Google. So, if you visited your GitHub’s issues page with Google Toolbar enabled, then your URLs was shared with Google, and you can only imagine how the Search gigant used that information. There are some more excuse going on from Matt Cutts. But even one of the brightest minds from Google says – “Security through obscurity is not a great way to keep a url from being crawled”. GitHub, if you do not want to listen to me, may be listen to the Google? According to the Wikipedia “Security through obscurity” was rejected as method of security in 1851, but we are still doing it in 2017. 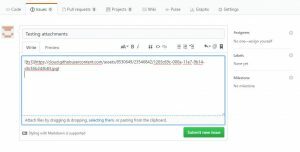 But again – so you want that your important files are protected by one text file that is only a recommendation not a law, or you want proper authentication where username and password is required to access your files? The robots.txt file prevents only robots that obey these rules. The text file does not protect from humans or hackers. And there are countless other ways how can you share links with third parties without your consent. Antivirus / antispyware sends URLs for virus-scanning purposes where sometimes human interaction is required (third party sees your images), as mentioned earlier – the Toolbars, browser addons/extensions, you can send link to misspelled email address and you think that only you and your team have access to the GitHub repository, but sorry… now the person with misspllled email address also have your file. The first argument about 120 bit entropy and UUID / GUID is also very disturbing. It is clear that person at the GitHub who review the submitted issues have no clue about UUIDs/GUIDs and entropy. I am not here to teach you about all the historical problems with uniqueness, guesability or security. Just read some information from the links provided. Here are some UUID examples. All of them are from GitHub. Maybe not guessable on the spot, maybe enough entropy, but what if they use weak PRNG, or what if some other programmer replaces UUID generating function without any clue that they are improperly used for security? What if they use standard UUID generation alghoritm and are easly predictable? Security: How to obtain someone’s username/login from the “Gmail for work”?